HUDSON, Fla. - Tampa Bay area authorities have charged a man with four counts of first-degree murder in the deaths of his ex-girlfriend, her parents and her new boyfriend. 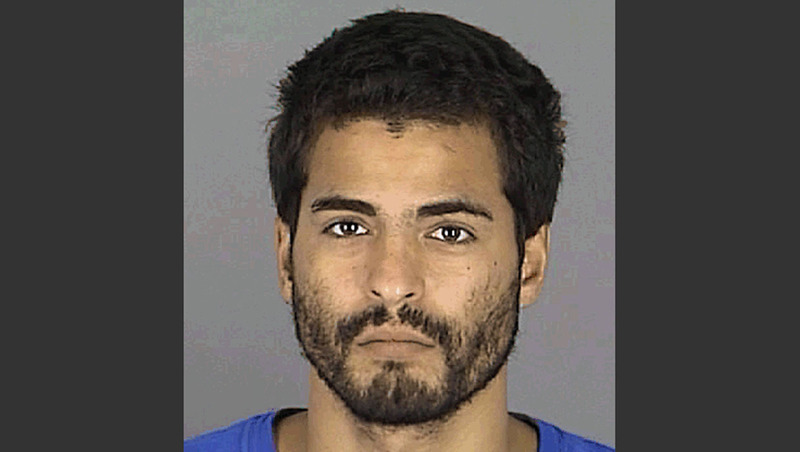 The Pasco County Sheriff's Office charged 28-year-old Adam Matos on Monday. Detectives say the victims were killed around Aug. 28. Matos, ex-girlfriend Megan Brown and her parents, Margaret and Greg Brown, had all recently moved from Pennsylvania. Officials went to the Hudson home Sept. 4 at the request of a concerned family member. Deputies found the four bodies piled atop each other in an open field. They had apparently lain unseen for several days. An arrest report says Matos took his 4-year-old son from the home after the killings. He and the unharmed boy were found at a Tampa hotel. Matos is being held without bail at the Pasco County Jail.